Baltimore's Lower Dens come with some considerable expectations thanks to their Devendra Banhart association. It showed with the large crowd that gathered to catch the first NXNE set. Sound problems plagued the first half of their show, though, as bedroom maestro Jana Hunter and co. played through constant feedback from the PA. 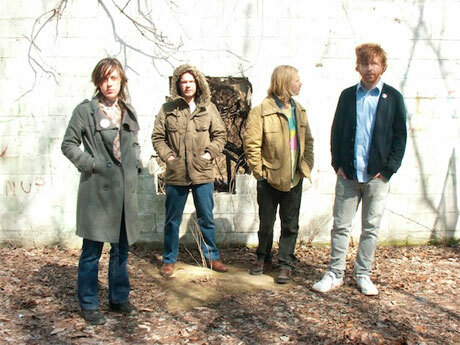 The band worked through the problems, but the onslaught of a five-piece band, which at times included a triple-guitar assault, killed the swirling subtleties (comparisons to Beach House seem inevitable) that make their recorded output so enjoyable and left Hunter and bass player Geoff Graham's vocals inaudible. Unfortunately, it all resulted in a subpar set from an talented band.